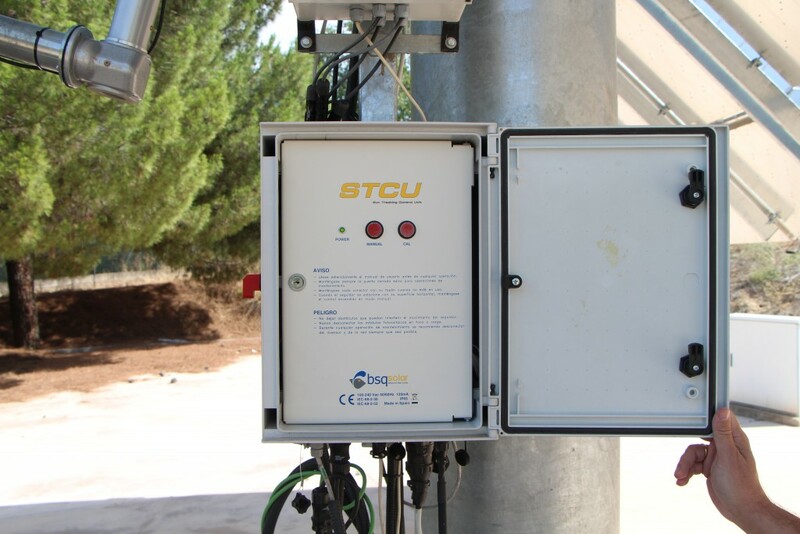 The BSQ Sun Tracking Unit (STCU) can control sun tracking in either one or two axis tracker or even multi-secondary axes tracker with different tracking axes architecture. 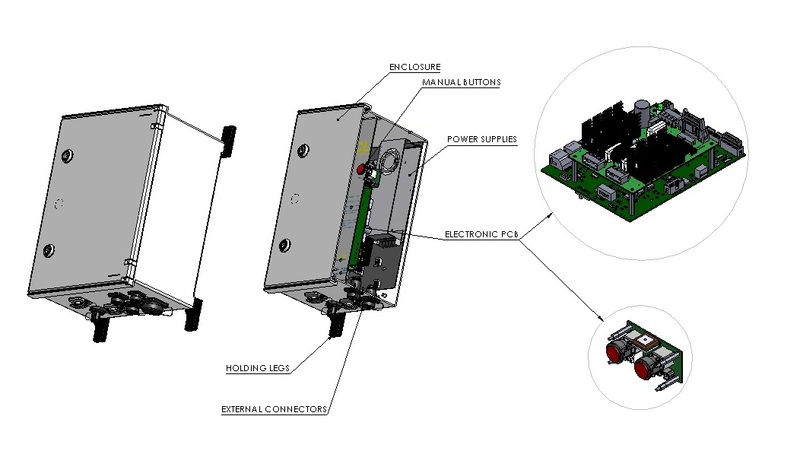 The Tracking control is based on a proprietary algorithm that is based on the computation of very high accuracy sun ephemeris equations, later corrected by a seven parameter non-linear calibration transformer that converts ephemeris sun coordinates into specific tracking axes rotation angles for a certain tracker. After a one-day calibration session to collect a set of tracking error measurements, the specific seven parameters univocally characterizing a certain tracker, the tracker’s manufacturing, assembly, and installation, are determined through Levenberg-Marquardt least squares fit. The Levenberg-Marquardt least squares fit; ensures each tracker has its specific seven parameter characterization, thus enabling once the calibration session ends, a purely open loop tracking control regime that can achieve a 2σ (percentile 97) accuracy of 0.1°. 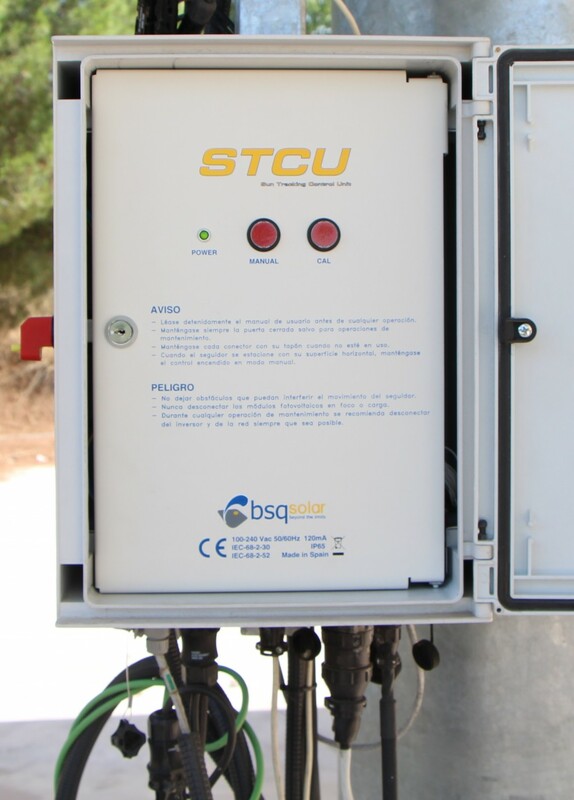 The BSQ Sun Tracking Control Unit is tested for electronic safety, electromagnetic compatibility standards as well as climatic tests to ensure its reliability to operate under harsh weather conditions. It triggers wind and night stow positions for safety and reliability. More than one thousand units are in operation around the world, in both hemispheres, going from very high wind locations, for example in the Pyrenees at 2000m height, to saline and dusty ambients in the Middle East, to extremely humid environments close to the Amazon. 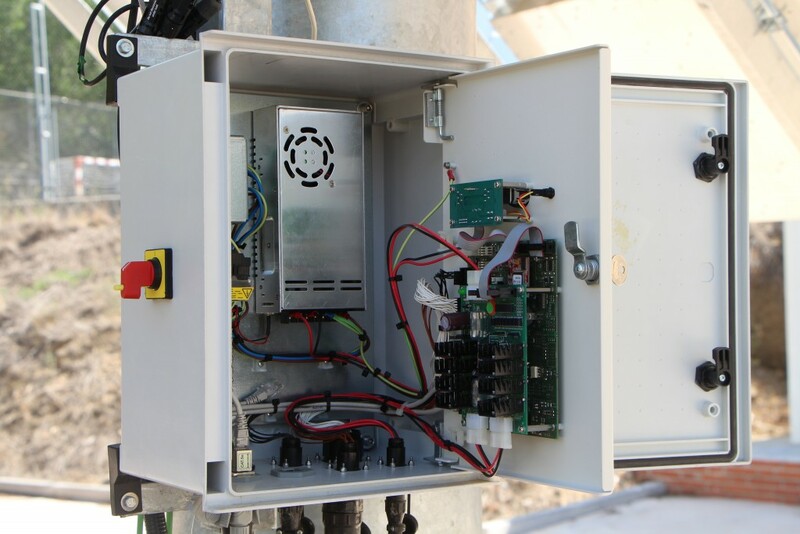 The controller comes alongside a software interface that manages system performance and calibrates the pointing accuracy of the array for maximum power.